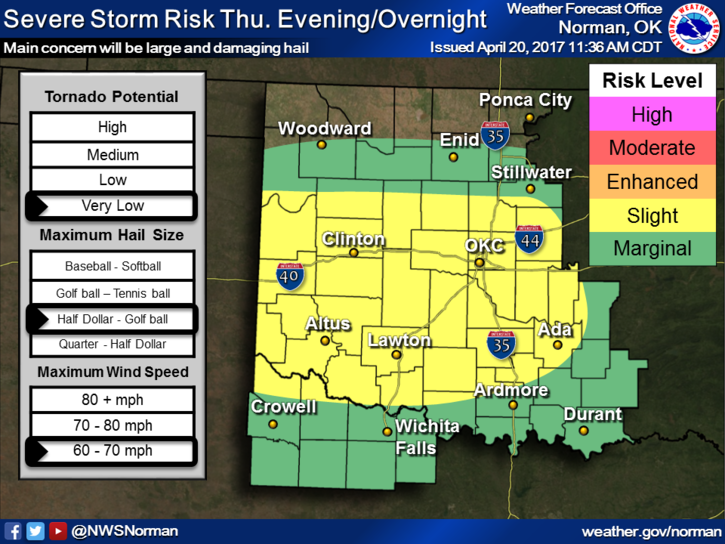 The National Weather Service predicts rain and a chance of hail starting at about 10 p.m. Thursday. 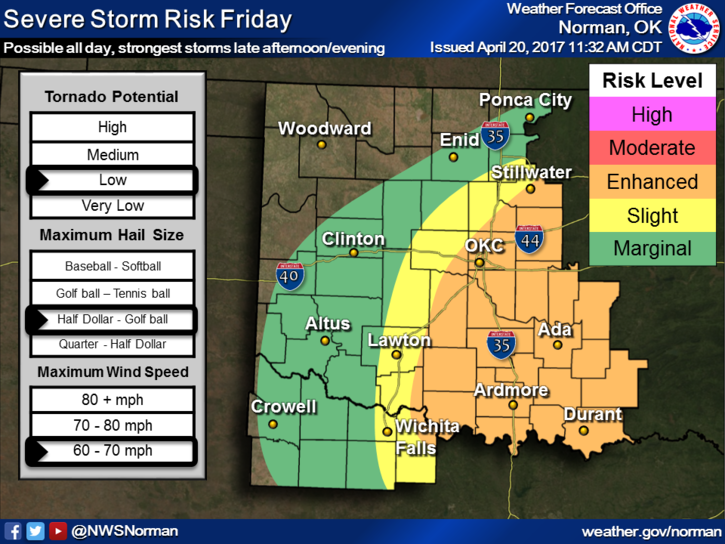 Friday brings a low risk of tornadoes in southern and central Oklahoma. There is a low risk of tornadoes on Friday, according to the National Weather Service. The risk of flooding will be the main result of Friday’s storm, according to meteorologist Brad Sowder of KOCO-TV.